India, with 116 points, stayed as the no. 1 ranked Test team while skipper Kohli (922 points) was 25 points clear of second-ranked New Zealand skipper Kane Williamson (897). In the bowler's list, Kagiso Rabada still topped the chart while Ravichandran Ashwin and Ravindra Jadeja are the best-ranked Indians at fifth and ninth place respectively. 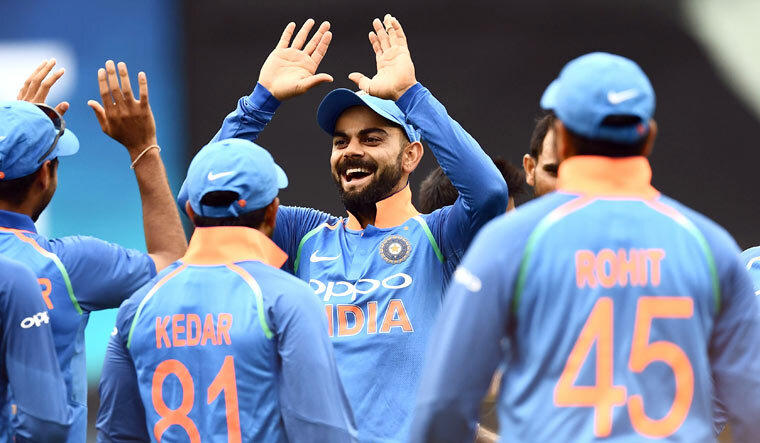 In the other series starting on Thursday, Australia and Sri Lanka will remain in fifth and sixth positions, respectively, whatever the result of the series. Australia will gain three points and go up to 104 if they win 2-0, with Sri Lanka losing two and going down to 89 in such a scenario.